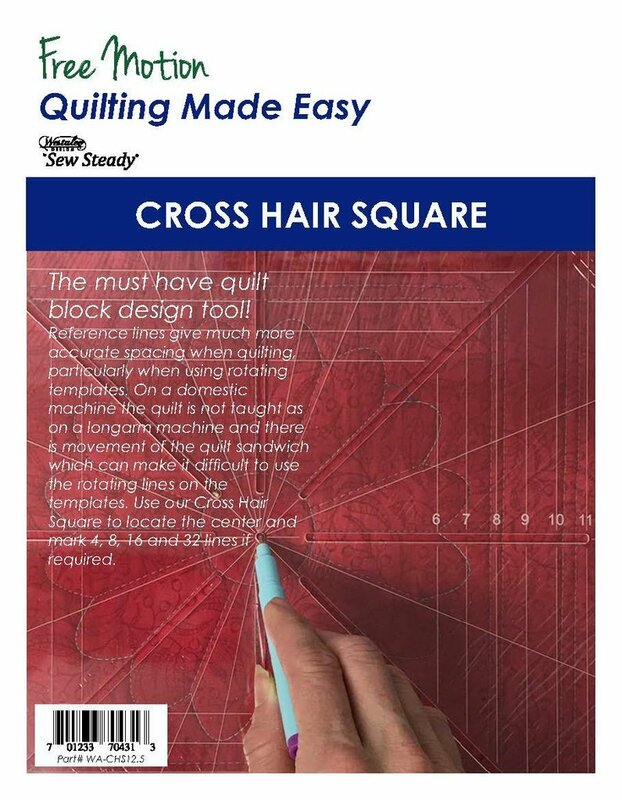 Home > Westalee Rulers > Cross Hair Square - 12.5"
Cross Hair Square - 12.5"
When quilting on domestic, Longarm, or with embroidery this marking tool is essential. Reference lines give a much better result. When using rotating templates, reference lines will give much more accurate spacing. On a domestic machine the quilt is not taught as on a longarm machine and there is movement of the quilt sandwich which can make it difficult to use the rotating lines on the templates. We like using our Cross Hair Ruler to locate the center and mark 4, 8, 16 and 32 lines if required.